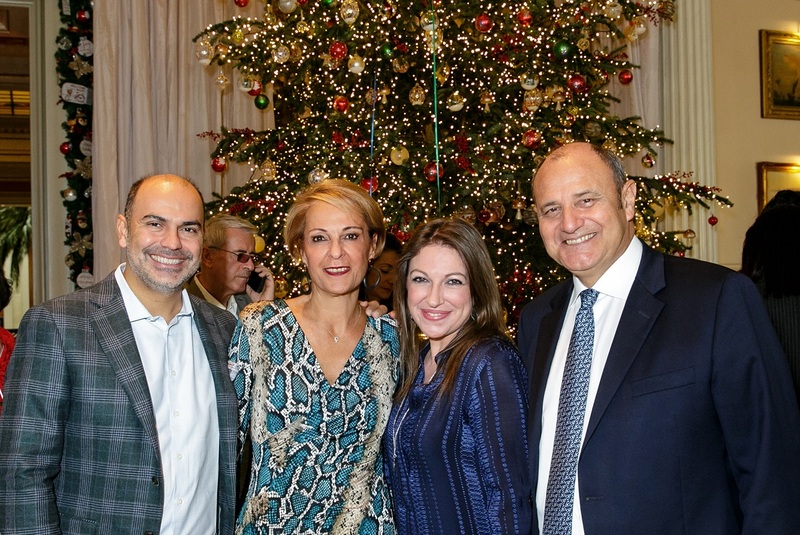 Grigoris Liasidis, director of Hotel Grande Bretagne & King George; Christina Papathanassiou, GB director of public relations; Tim Ananiadis, general manager of Hotel Grande Bretagne & King George. The Hotel Grande Bretagne, located in the heart of Athens, officially welcomed the Christmas holiday season on December 1, with its annual ceremony for the lighting of the Christmas tree in its lobby. Decorated with impressive garlands, rare ornaments and more than 10,000 lights, the hotel’s Christmas tree creates a unique festive scene. 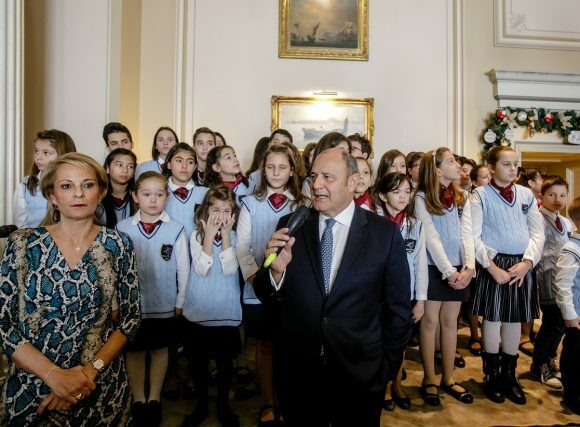 The ceremony included Christmas carols performed by the “Young Musicians”, the children’s choir of the Athens Conservatory. 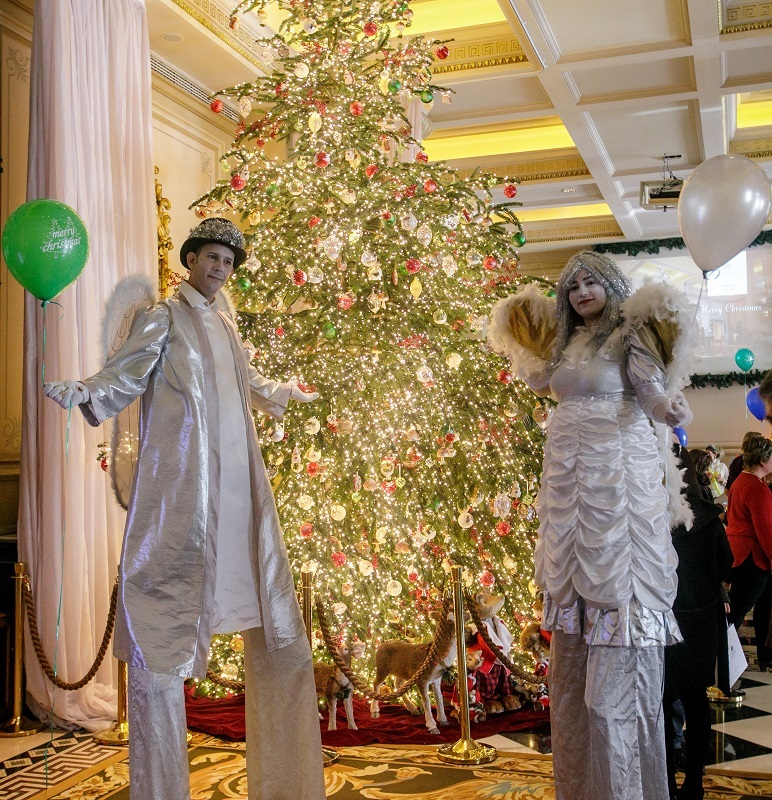 The guests also had the opportunity to watch Grande Bretagne’s new Christmas video. Furthermore, the volunteers of Celebral Palsy Greece – Open Door – an organization offering support to people suffering from cerebral palsy – informed guests on its activities. To support the organization, the Hotel Grande Bretagne has launched a special fund raising campaign, within the framework of its corporate social responsibility program. Starting on January 1, 2019, and for five months, 1.50 euro will be added to each receipt issued at the GB Roof Garden and Tudor Hall restaurants — with the customers’ consent — and be donated to Celebral Palsy Greece. 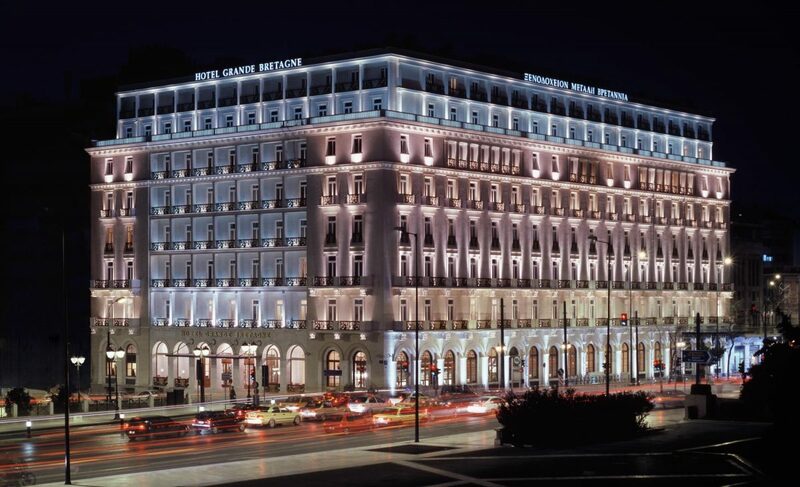 The Hotel Grande Bretagne is located at central Syntagma Square, and offers a stunning view of landmark sites such as the Acropolis, the Hellenic Parliament, the Lycabettus Hill and the Kallimarmaro Panathenaic Stadium.